← Mad Scientists and Mad Hatters! 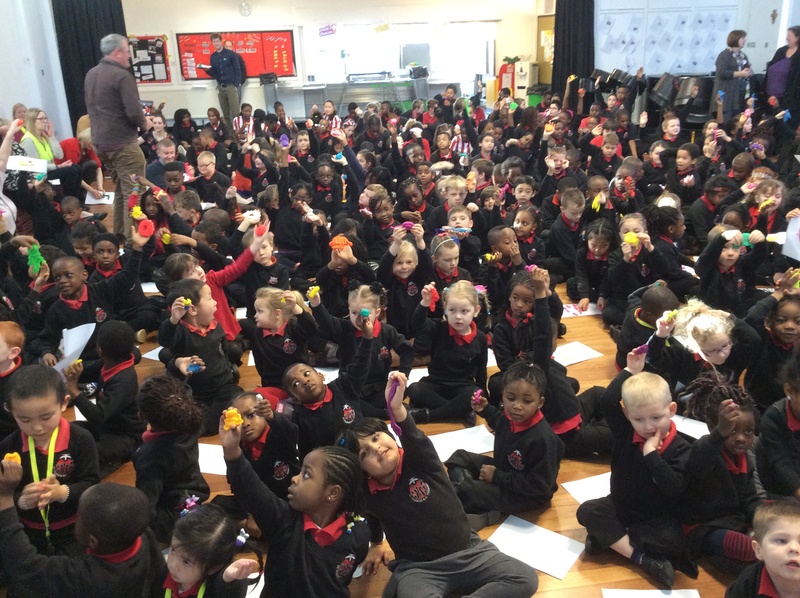 We were all very excited on Monday 3rd March as we took part in an official Guinness World Record attempt. The record that we were setting was called – The Most People Modelling with Dough. We called it Dough Disco! There were over 7,000 people all over the world modelling with dough at the same time. Amazing! Everyone looks very serious in the photo, but we had to concentrate to make sure that everyone was modelling for a full five minutes. A big thanks also to people who helped us by being official witnesses and stewards. We also raised £200 for Fraser Baillie, who is cycling round the world to raise enough money to build a library with the charity Room to Read. Well done everyone.